One day a passer-by passed three men cutting stone. He asked the first one what he was doing, and he replied, “I’m cutting stone”. He asked the second man the same question, and his reply was, “I am making $5 a day”. But when he asked the third man what he was doing, his eyes lit up, his face beamed, and he replied, “I, sir, am building a Cathedral”. The men who are just doing their job are "Hindmost". Those who are working for the money they can get at the present time are "Almost". The ones who are looking forward, who are building a "Cathedral" are "Foremost". The story of the worker whose vision extended beyond his daily pay was a favorite story of Paul Reinhold's and in many ways reflects his personal and business philosophy. From humble beginnings as a young ice cream maker in Pittsburgh, Paul Reinhold came to be known as a fearless builder of business. 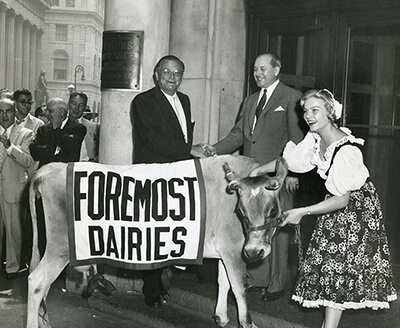 Reinhold's life in Northeast Florida started in 1931 with Foremost Dairies, a small unprofitable company that was struggling to meet its obligations. Over the next 30 years, Paul Reinhold, as its President, CEO and Chairman grew Foremost to be one of the largest dairies operations in the United States serving markets across the country and abroad. By 1955 the company's sales topped $400 million and culminated with Foremost's listing on the New York Stock Exchange. Shortly after moving to Jacksonville, Mr. Reinhold acquired 120,000 acres in Clay County from retailer J.C. Penney. Originally, the land was used to support milking cows and cattle, and to grow timber. Over the next twenty years, he sold significant acreage to the U.S. Government to establish Camp Blanding, the Gilman Paper Company, and others. In 1968, Reinhold Corporation was formed to manage Mr. Reinhold's investments and real estate assets. Today, the principal land holdings of the Reinhold Corporation encompass nearly 28,000 acres surrounding the Town of Penney Farms, which supports the Corporation's timber operations, mitigation banking, and wildlife programs. The Reinhold Corporation remains Clay County's largest private landowner. Today, the Reinhold Corporation is owned by the family of Paul and Klare Reinhold. The family strives to be good stewards of the Company's assets and to build the family business through long term, ethical decision making which respects family, employees, community and the environment. In addition, the family seeks to expand its philanthropic impact and to promote civic outreach in the spirit of its founders. 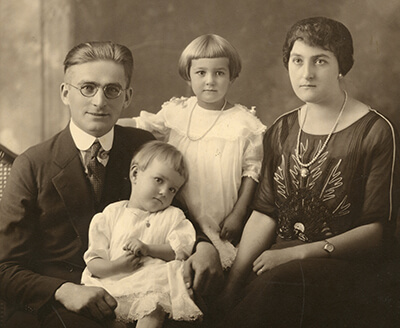 The family revels in the joyful celebration of this family and its heritage. © 2019 Reinhold Corporation. All Rights Reserved.